Canning Paradise is a feature-length documentary about one of the world’s most prized resources, and those who pay for it. 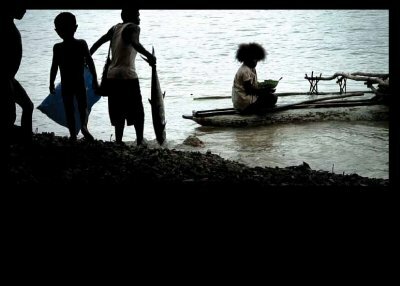 Decades of overfishing by the global tuna industry have now pushed the final frontiers to the waters of Papua New Guinea. Fifty years ago, the world was fishing out 400 000 tons of tuna. Today this number is approximately 4 million. This film follows the struggle of indigenous populations trying to protect their sacred way of life, guarded by traditions dating back thousands of years. They see their ancestral land taken away to make way for multinational corporations, in their quest to create the new tuna capital of the world or the first special economic zone in the country.